The 2019 National Road Safety Conference will, for the first time, be held at The International Centre, Telford. Situated in the heart of the UK, the International Centre's accessible location offers all the benefits of a city centre, without the hustle and bustle. Following a £250 million investment, Telford's purpose built Convention Quarter is located opposite the International Centre and features a host of restaurants, bars, hotels, and leisure facilities. Telford town centre is just a short walk away. Situated just over a mile from Telford Central Station, the International Centre is a 15-minute walk or two minute taxi drive away. There are regular services from Birmingham New Street, Wolverhampton and Shrewsbury. The International Centre is easily accessible from anywhere in the UK. There are over 1,500 car parking spaces on-site, all within easy walking distance of the venue. 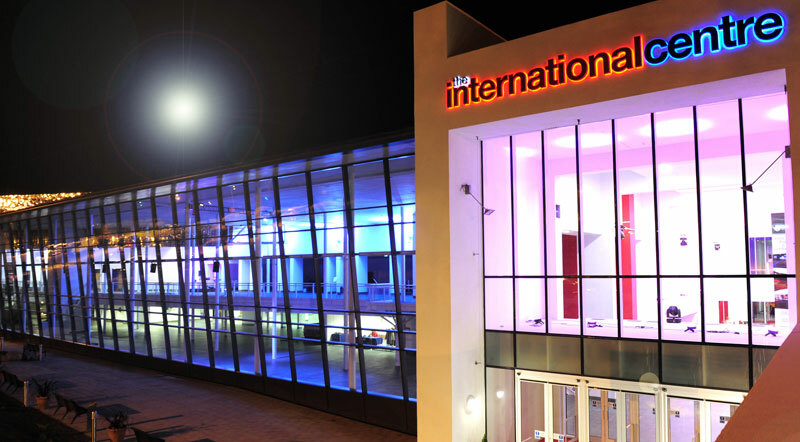 The International Centre is less than an hour by road from Birmingham International airport, with rail connections from Birmingham International Station.